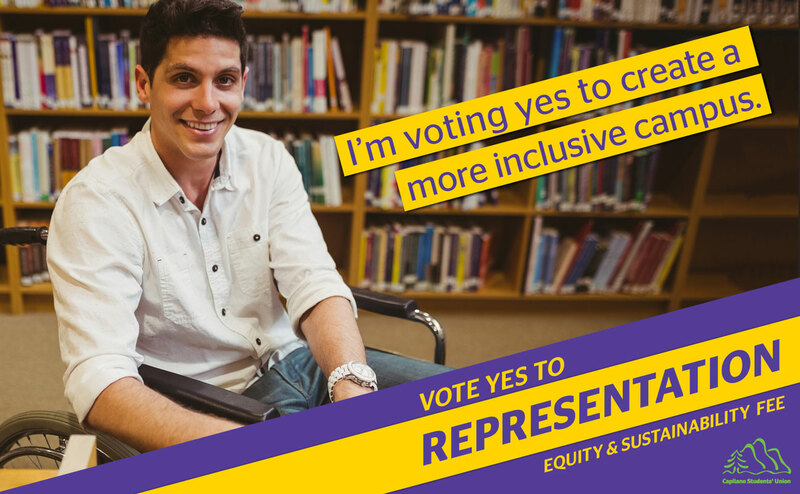 Yes to Equity & Sustainability! Yes to U-Pass! YOU ARE HERE::Home/Yes to Equity & Sustainability! Yes to U-Pass! How much is proposed the fee? If approved, the fee will be assessed at 79 cents per credit up to a maximum of 15 credits per semester. When would we start paying? The CSU would begin collecting the fee in the fall semester of 2019. What kind of mental health programming would this fee be used for? Right now, the CSU is able to put on regular dog therapy events as well as occasionally run massage therapy events to help students during exam time. We would be able to be much more robust, organizing workshops, guest speakers, and other events that will help students be proactive about their mental health. What kind of representation programming would this fee be used for? The fee would allow for a host of events including black history month, pride month, International Women’s Day events, and more. These would provide value and education to all students while also granting visibility and representation to groups that are often overlooked. What kind of support can individual students see in this fund? Most student unions have staff members that help guide students through understanding how the university works, including academic appeals. This fee would allow us the resources to help guide students through the complex process of appealing university decisions to receive a more equitable outcome. Does the CSU do anything like this now? We would like to build on the success of the university’s Greentainer program with activities like clothing swaps, sustainable markets and a waste reduction plan, all of which are aimed to help save students money and improve our environmental impact. Has the CSU ever tried to introduce a similar fee? The conversation during last year’s social justice fee referendum really helped us understand what students were looking for and we’ve worked hard to rework the fee to reflect what we heard. This includes more direct support for students and a bigger focus on environmental sustainability. When and where does voting take place? Polling takes place online form 9:00am on March 19 to 5:00pm on March 21. Login information will be sent to your student emails or you can visit csu.bc.ca/vote to login! Why is the U-Pass fee increasing? All student unions in Metro Vancouver have advocated to TransLink and the BC government for an adequately funded transit system. The proposed prices are slight increases over the years and represent an acknowledgment of the need to keep the U-Pass fees well below transit fares. How much do I really save with a U-Pass? When would the new price take effect? 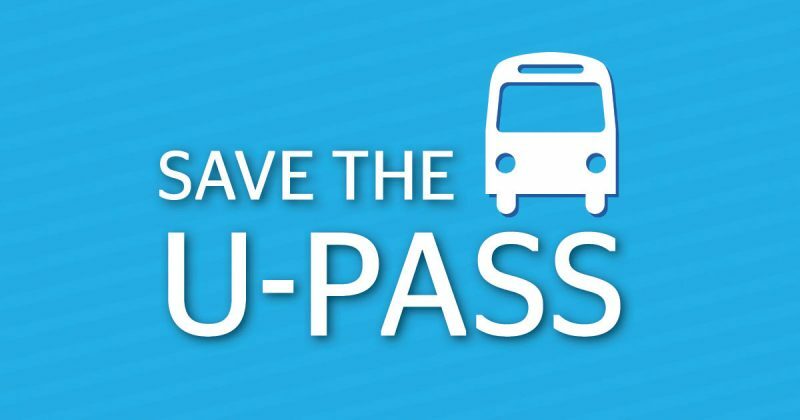 If approved, the current U-Pass fee will remain the same until May 1st 2020, when it will rise to $42.50 per month. After that it is guaranteed not to rise by more than 2% for the duration of the five year contract. Want to help out with the campaigns? Visit the CSU’s volunteer registry here!